Tripolitania is a historic region and former province of Libya. el-Djerid, al-Jarīd or more precisely the South Western Tunisia Region is a semi-desert natural region comprising three southern Tunisian Governorates, Gafsa, Kebili and Tozeur with adjacent parts of Algeria and Libya. Béjaïa, formerly Bougie and Bugia, is a Mediterranean port city on the Gulf of Béjaïa in Algeria; it is the capital of Béjaïa Province, Kabylia. Béjaïa is the largest principally Kabyle-speaking city in the Kabylie region of Algeria. The history of Béjaïa explains the diversity of the local population. The Aghlabids, from their base in Kairouan, initiated the invasion of Sicily beginning in 827, and established the Emirate of Sicily which lasted until it was conquered by the Normans. The Aghlabids were an Arab dynasty of emirs from the Najdi tribe of Banu Tamim, who ruled Ifriqiya, nominally on behalf of the Abbasid Caliph, for about a century, until overthrown by the new power of the Fatimids. Kairouan, is the capital of the Kairouan Governorate in Tunisia. It is a UNESCO World Heritage site. The city was founded by the Umayyads around 670. In the period of Caliph Mu'awiya, it became an important centre for Sunni Islamic scholarship and Quranic learning, and thus attracting a large number of Muslims from various parts of the world, next only to Mecca and Medina. The holy Mosque of Uqba is situated in the city. 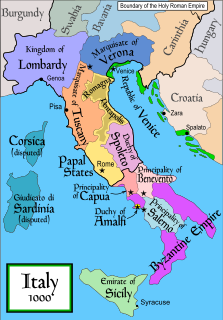 The Emirate of Sicily was an emirate on the island of Sicily which existed from 831 to 1091. Its capital was Palermo. Raqqāda is the site of the second capital, in Tunisia of the 9th-century dynasty of Aghlabids, located about ten kilometers southwest of Kairouan, Tunisia. The site now houses the National Museum of Islamic Art. The Almoravid dynasty was an imperial Berber Muslim dynasty centered in Morocco. It established an empire in the 11th century that stretched over the western Maghreb and Al-Andalus. Founded by Abdallah ibn Yasin, the Almoravid capital was Marrakesh, a city the ruling house founded in 1062. The dynasty originated among the Lamtuna and the Gudala, nomadic Berber tribes of the Sahara, traversing the territory between the Draa, the Niger, and the Senegal rivers. Oqba ibn Nafi'i al-Fihri, (restored), 681–683 — led cavalcade to Morocco, ostensibly bringing entire Maghreb under submission. Zuhair ibn Qais al-Balawi, 683–689 — initially only Barqa, recovered Byzacena in 686. (Zohair killed. Berbers under Kahina recover Byzacena in 689. No clear Arab governor, 689–92). Hassan ibn al-Nu'man al-Ghassani, 692–703 — initially only Barqa. Captured Carthage in 695 (lost again), then again in 698 (final). Permanent conquest of Ifriqiya, organized as a new province, separately from Egypt, directly under Umayyad Caliph, with capital at Kairouan. Abd al-Rahman ibn Habib al-Fihri, 745–755. ↑ (in French) Article « Ifriqiya » (Larousse.fr). ↑ http://en.wikisource.org/wiki/Arabic_Thought_and_Its_Place_in_History : DE LACY O’LEARY, D.D. "ARABIC THOUGHT AND ITS PLACE IN HISTORY" London: KEGAN PAUL, TRENCH, TRUBNER & CO., LTD. / NEW YORK: E. P. DUTTON & CO. (1922), pp. 227-8. ↑ "The Story of Africa| BBC World Service". www.bbc.co.uk. Retrieved 2018-12-12. ↑ James, Fromherz, Allen (August 2017). The Near West : Medieval North Africa, Latin Europe and the Mediterranean in the Second Axial Age ([Paperback edition] ed.). Edinburgh. ISBN 978-1474426404. OCLC 973383412. ↑ "Ibn Khaldūn | Muslim historian". Encyclopedia Britannica. Retrieved 2018-12-12. ↑ See chronicles of Ibn Abd al-Hakam and al-Nuwayri for accounts of the conquest. ↑ This follows the tradition of al-Nuwayri, who says Mu'waiya ibn Hudaij was the first emir of Ifriqiya (ruling from Baqra) in 665. Ibn Khaldoun, however, dates the appointment of Mu'waiya ibn Hudaij as early as 651/52, when Abdallah ibn Sa'ad was governor in Egypt. ↑ This is primarily covered in the chronicle of al-Nuwayri. ↑ On the Banu Hillal invasion, see Ibn Khaldoun (v.1). ↑ Abulafia, "The Norman Kingdom of Africa"
Julien, C.A. (1931) Histoire de l'Afrique du Nord, vol. 2 – De la conquête arabe à 1830, 1961 edition, Paris: Payot. The Rustamid dynasty was a ruling house of Ibāḍī imāms of Persian descent centered in Algeria. The dynasty governed as a Muslim theocracy for a century and a half from its capital Tiaret until the Ismaili Fatimid Caliphate destroyed it. Their realm extended mostly to current central Algeria, but also Libya. The Zirid dynasty was a Sanhaja Berber dynasty from modern-day Algeria which ruled the central Maghreb from 972 to 1014 and Ifriqiya from 972 to 1148. The Hafsids were a Tunisian Sunni Muslim dynasty of Berber descent who ruled Ifriqiya from 1229 to 1574. Abū Yazīd Mukhallad ibn Kayrād al-Nukkari, nicknamed Ṣāhib al-Himār "Possessor of the donkey", was a Ibadi Berber of the Banu Ifran tribe who led a rebellion against the Fatimid Caliphate in Ifriqiya starting in 944. Abū Yazīd conquered Kairouan for a time, but was eventually driven back and defeated by the Fatimid Caliph al-Mansur Billah. Abd al-Rahman ibn Habib al-Fihri was an Arab noble of the Oqbid or Fihrid family, and ruler of Ifriqiya from 745 through 755 AD. The Great Berber Revolt of 739/740–743 AD took place during the reign of the Umayyad Caliph Hisham ibn Abd al-Malik and marked the first successful secession from the Arab caliphate. Fired up by Kharijite puritan preachers, the Berber revolt against their Umayyad Arab rulers began in Tangiers in 740, and was led initially by Maysara al-Matghari. The revolt soon spread through the rest of the Maghreb and across the straits to al-Andalus. The medieval era of Tunisia starts with what will eventually return Ifriqiya to local Berber rule. The Shia Islamic Fatimid Caliphate departed to their newly conquered territories in Egypt leaving the Zirid dynasty to govern in their stead. The Zirids would eventually break all ties to the Fatimids and formally embrace Sunni Islamic doctrines. 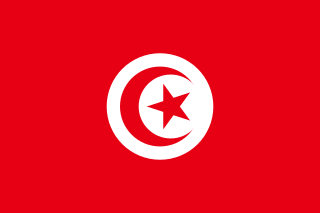 The History of early Islamic Tunisia opens with the arrival of the Arabs who brought their language and the religion of Islam, and its calendar. The Arab conquest followed strategy designed by the Umayyad Caliphate regarding its long-term conflict with the Byzantine Empire. The native Berbers eventually converted to Islam. They might have seen some similarities between themselves and the Arabs, in similar cognate culture, such as familiarity with a pastoral way of life. The first local Islamic ruling house, the Aghlabids, consisted primarily of rule by leading members of this Arab tribe. Fundamental elements of Islamic civilization were established. Although accepting Islam, many Berbers nonetheless resisted rule by the Arabs, establishing the Rustamid kingdom followiing the Kharijite revolt. Next in Ifriqiya (Tunisia) arose the Shia Fatimids, inspired by a few immigrants from the east yet consisting for the most part of Ifriqiya Berbers. The Fatimids later expanded their rule east, through conquest by Berber armies of Egypt, and established their caliphate there which came to include Syria and the Hejaz. The Battle of the Nobles was an important confrontation in the Berber Revolt in c. 740 CE. It resulted in a major Berber victory over the Arabs near Tangier. During the battle, numerous Arab aristocrats were slaughtered, which led to the conflict being called the "Battle of the Nobles". Zenata Berber chieftain Khalid ibn Hamid al-Zanati led the revolting Berber soldiers. Habib ibn Abi Obeida al-Fihri was an Arab military commander of the illustrious Fihrid family who played an important role in the early history of Ifriqiya and al-Andalus (Spain). 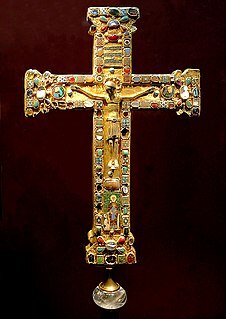 The Fihrids were an illustrious Arab family and clan, prominent in North Africa and Muslim Iberia during the 8th century. Ubayd Allah ibn al-Habhab al-Mawsili was an important Umayyad official in Egypt from 724 to 734, and subsequently Umayyad governor of Kairouan, Ifriqiya from 734 to 741. It was under his rule that the Great Berber Revolt broke out in the Maghreb and al-Andalus. Ilyas ibn Habib al-Fihri was an Arab noble of the Oqbid or Fihrid family, and briefly ruler of Ifriqiya in 755. Habib ibn Abd al-Rahman al-Fihri was an Arab noble of the Oqbid or Fihrid family, and briefly ruler of Ifriqiya from 755 to 757. Maysara al-Matghari was a Berber rebel leader and original architect of the Great Berber Revolt that erupted in 739-743 against the Umayyad Muslim empire. However, he was deposed by the rebels, replaced with another Berber leader, and died or possibly was executed by them in 740. The Berber Revolt succeeded 3 years after his death in defeating the Umayyad armies. Khalid ibn Abi Habib al-Fihri was an Arab military commander in North Africa during the Berber Revolt, who led the Arab army that was defeated at the Battle of the Nobles in late 740. The chronicles are oddly ambiguous on the biographical details of Khalid ibn Abi Habib. It is acknowledged that he was a member of the illustrious Fihrid family, descendants of the great Arab conqueror Oqba ibn Nafi al-Fihri. The patronymic structure suggests Khalid is the son of the father of Habib, which would imply that it is likely Khalid was the brother of Habib ibn Abi Obeida al-Fihri, the principal military commander of Ifriqiya. But this is not confirmed. Ismail ibn Abd Allah ibn Abi al-Muhajir (?-?) was an Umayyad governor of Ifriqiya from 718 to 720. Abu'l-Ala Yazid ibn Abi Muslim Dinar (?-721) was the Umayyad governor of Ifriqiya from 720 until his assassination in 721.